The company has reportedly been in the process of shutting its CDMA business and shifting its subscribers to 2G, 3G and 4G networks. 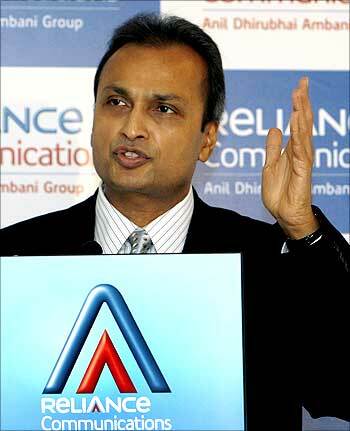 Reliance Communications (RCom) fared the worst in a call drop rate test conducted by the Telecom Regulatory Authority of India (Trai) in Hyderabad, showed the results issued by the latter. Trai had earlier said almost all operators failed the benchmark in a test at Delhi; it was so in Hyderabad, too. And, RCom's call drop rates were the highest - 4.8 per cent for its second-generation technology (2G) service and 5.5 per cent for the CDMA service. For 4G, it has a sharing pact with Mukesh Ambani's Reliance Jio Infocomm. The test was on May 5-7 over 300 km in Hyderabad and monitored 2G, 3G and CDMA. Only Vodafone 2G and Telenor 2G were able to keep the call drop rate at 1.5 per cent and 1.8 per cent, respectively. Bharat Sanchar Nigam for 3G services had kept the call drop rate at 0.8 per cent, but the government-run entity did not meet the criteria for its 2G service. Other operators who did not meet the requirements were Airtel, Aircel, Idea, Tata Teleservices and Docomo. Dismissing the allegations of COAI, Trai chairman R S Sharma said the results are clear indicator of Quality of Service (QoS) by operators. “Since the call drop test benchmarks are not being met by the telcos, that is why we have asked the dot to give us powers to impose penalties,” he added. Last week, following the release of the Delhi test drive results by Trai, the operators alleged the test was done in problematic areas, despite the regulator knowing the challenges such as cell towers being shut down by local authorities and inaccessible sites on government and military land.